Beginner photographers are often confused by the term “f-stop”. They know it is somehow related to the concept of aperture and has something to do with depth of field but aren’t sure what exactly it stands for. Do you feel the same? Don’t worry because you’re certainly not alone. F-stop is indeed one of the most complicated concepts for everyone who makes his first steps in photography. It is also a very important one that you can’t really do without. My goal with this article is to explain in plain words everything you need to know about f-stops. I hope at the end all your questions will be answered. As I said above, f-stop and aperture are interrelated. In fact, you can’t explain the former without the latter. You already know aperture is the opening in your lens that lets light into your camera. You also know that the bigger the opening, the more light enters the camera. Analogically, the smaller it is, the less light it lets in. By f-stop we simply mean a number that corresponds to a certain aperture. It looks like this: f/1.8, but you can also see it look like this: f1.8. f/1.8 is an example of a big (or open) aperture that will let a lot of light in. An example of a small (or closed) aperture can be f/22. How come f1/8 means a bigger aperture than f/22? This is usually the point that perplexes each starting photographer. If I want a big aperture, why do I choose a smaller number? Well, the thing is you don’t choose a smaller number. F-stops are not full numbers. They are fractions. Think of f/8 as one-eighth and of f/22 as one-twenty-secondth. Just like in mathematics, then, 1/8 is bigger than 1/22. If you get 1/8 of a cake, you’ll be luckier than if you get 1/22 of it, right? The logic is the same with f-stops. f/8 means a bigger aperture than f/22. To sum up, if you want a big aperture, you need to choose an f-stop from the range f/1.4 – f/5.6. And if you want a small one, pick up from f/8 and above. OK, but why 1.4, 8 or 22? What do these numbers stand for? As you probably guess, these are not just random numbers. To begin with, the “f” in “f/8” stands for “focal length”. If you replace this f in the fraction with the value of the focal length of the lens you’re using, you will get the diameter of your aperture. Let’s say, you’re now using an 80mm lens. If the f-stop you want to choose is f/8, you will get the fraction 80/8. 80 divided by 8 is 10. So the opening in your lens is exactly 10 millimeters across. 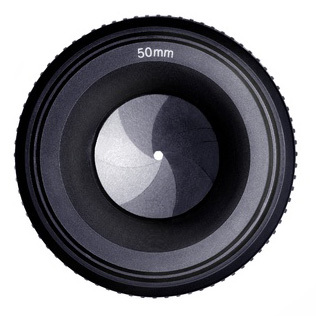 If we had a 50mm lens and an f-stop of f/1.0, our aperture would be 50 millimeters across. In other words, its diameter would be equal in length to the focal length of the lens. Here, though, it’s important to distinguish between the diameter of the aperture (measured in millimeters) and its area (measured in square millimeters). If we choose f/1.4 on that same 50mm lens, the diameter of the aperture will get smaller by a factor of 1.4 but its area will be reduced by a factor of 2. This might sound complicated but you don’t really need to think about it. What you should know, however, is that by changing the aperture by one stop we either reduce or increase the amount of light by a factor of two. So, if we stop down the lens from f/8 to f/11 (provided all other settings stay the same), we allow twice as little light. If we change the aperture from f/5.6 to f/4, we double the amount of light that will hit the sensor. about ten times smaller than the focal length of 50 mm. It makes f-stop around f/10-f/11. There are other f-stops, of course. 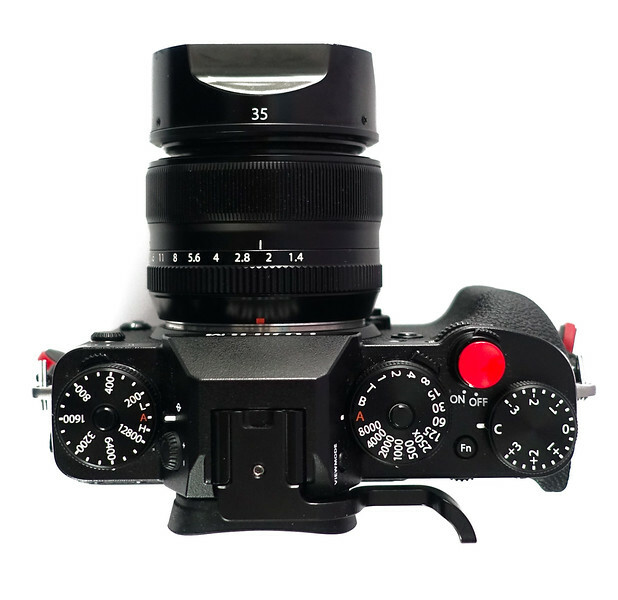 Some cameras support f-stops up from f/1.4 down to f/32. Do I need a lens that supports a bigger maximum aperture? You have surely noticed that each lens name contains the maximum f-stop it supports. My Fujinon 35mm f/1.4, therefore, allows me to use f-stops up from f/1.4. Such lenses are often called “fast” because they let you get more light into the camera without having to resort to slower shutter speeds. This is useful when, for example, you want to shoot an image without a tripod. The big aperture will allow enough light through the lens so you don’t have to use slower shutter speed and risk getting a blurred picture due to hand movement. Fast lenses, however, tend to be among the most expensive so it’s important to consider whether investing in it will be worth for you. In the introduction, I mentioned “depth of field” and its relation to aperture/f-stops. I have covered this topic extensively here. In short, though, the aperture directly influences how much of your photograph will appear sharp. Big apertures in the range of f/1.4-f/5.6 create a shallow depth of field with just your object (or parts of it) appearing sharp. Small apertures (f/8-f/22) allow for a large depth of field where everything from foreground to background may be sharp. Do you still find f-stops confusing? It should be a bit clearer now, isn’t it? I realize just reading about it may not help you. So grab your camera and explore the range of f-stops it supports. Change no settings apart from the aperture and then analyze the results. Then go back to the article and it should already make sense. If you still have any questions left, feel free to ask me in the comments below. What a beautiful explanation! Thank you! Wonderfully explained though there are a lot of maths involved. Thank you. 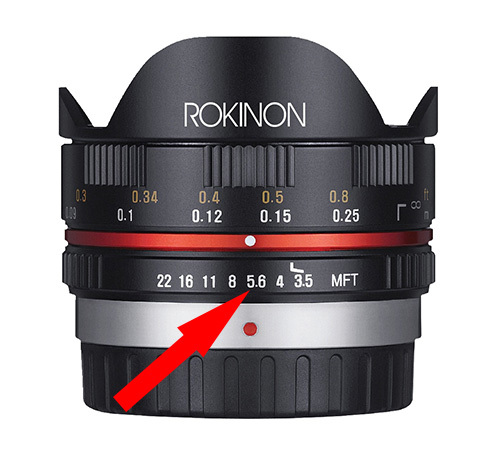 How does F-stop work for zoom lens? Some zoom lens have constant aperature across the zoom range, but others have variable aperature. Take a constant f/2.8 24-70 mm lens as an example. If you set the aperature at f/2.8, does the aperature actually change in size (opening) as you zoom from 24 to 70 mm? Thanks. It really helped because I am not mathematically inclined. Hi Viktor! This is one of the best areas about you. Not only are you clear about the information you want me to learn, but also you don’t try and sell me something every two minutes in the process!